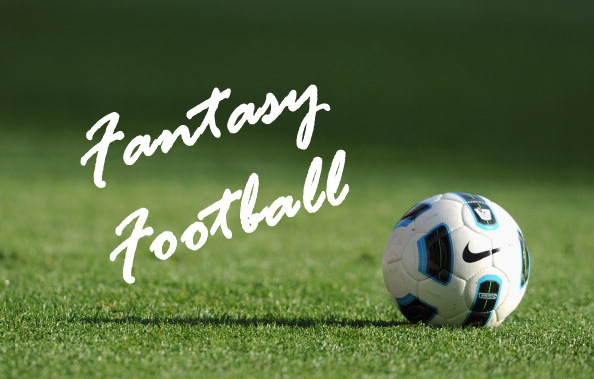 Our friends over at Fantasy Yirma provide their picks for Gameweek 10. Being told that you sometimes play like Stoke City is apparently an insult these days, but it could be Stoke players who prove the most effective in Fantasy Premier League over the next few weeks. A relatively kind fixture list up until just before Christmas should alert Fantasy bosses to Tony Pulis’s men, who go to Norwich City this weekend in search of a first away victory of the season. That record along with just the nine points taken from nine Premier League matches so far might not give the impression that the boys from the Britannia have been anything to write home about in this campaign, but in goalkeeper Asmir Begovic (£4.8m) and forward Peter Crouch (£6.8m) they have two of the standout value for money selections in the game this season. Defenders Ryan Shawcross (£5.0m) and Robert Huth (£5.5m) and midfielders Jonathan Walters (£6.4m) and Michael Kightly (£5.5m) also provide interesting options, but it is to Crouch that Stoke will turn to on Saturday at Carrow Road against a team who have conceded more goals than everyone but Southampton so far. Crouch will be coming up against one of the six clubs in this season’s Premier League that he has represented before, and he looks a good bet to bite the hand that used to feed him and find the net for the first time since scoring twice at home to Swansea on Gameweek 6. Finding form could be crucial to both Pulis’s team and yours ahead of this kind run of games. Elsewhere over a Premier League weekend which would do well to be as dramatic as the last one and the midweek League Cup ties, Manchester United could go top of the table for a few hours at least as they take on Arsenal at Old Trafford early on Saturday afternoon. These heavyweight clashes are usually best avoided by Fantasy bosses due to their often tight and competitive nature, but Robin van Persie (£13.4m) simply can’t be ignored here as he comes up against his former employers for the first time. Unlike Crouch he’ll only face old friends twice this season, and with the Dutchman having found the net in his last two league matches and seven times overall to jointly lead the Premier League goalscoring charts alongside Demba Ba (£8.4m, but who is a doubt for Newcastle’s trip to Anfield on Sunday), then his form is easily apparent and matches the class that he undoubtedly has. Every league match that Van Persie has started for United has produced either a goal or an assist for the Dutchman, and with it being almost impossible to envisage that run coming to an end on Saturday, if you’ve got the cash to splash then it could well be a wise move to rely on Robin. Tottenham players are sure to prove popular given their home match against struggling Wigan, and whilst Jan Vertonghen (£6.4m), Gareth Bale (£9.6m) and Jermain Defoe (£8.0m) are sure to be attracting plenty of attention from Fantasy bosses, it might be worth considering that Spurs face trips to Manchester City and Arsenal in their next two weeks, and so it could be better to wait to bring their boys on board. With the basement battle between QPR and Reading sure to be a committed affair on Sunday, perhaps there is potential for points on Monday night when West Brom take on Southampton at The Hawthorns. With the Baggies having won four of their five home matches – only losing to champions Manchester City – and considering that the Saints have lost all four of their away fixtures, then success looks likely for Steve Clarke’s men in the final game of the weekend. Key to that success is likely to be James Morrison (£6.2m), whose two goals and three assists this season have been key to the performances of Clarke’s side, and who is likely to be heavily involved against a team who have made shipping goals an art form since their elevation to the Premier League. West Brom don’t play like Stoke, but they could be just as effective for you this week.